The Ukrainian Shadow Theatre in Algeria with New Year’s present! The Ukrainian Shadow Theatre in Algeria built a cultural bridge between the two countries. In the New Year period, a group from Chernigov had two-week tour to Algeria. The artists showed their famous show “The Kingdom of Shadows” in 3D format. For the reason that any concerts even of local artists in Algeria are not often, what can we say about Ukrainian. That’s why, when MS Entertainment offered to organize 10 concerts in several cities , the answer was obvious. This is the second experience of cooperation with this company. In the summer, there were quite successful tour in Kuwait. For greater immersion of the viewer, for the first time were used 3D technologies. Now adults and children can both watch the plot and dive into the action itself. And also to be surprised by unexpected special effects and 3D magic. The artists were met as an incredibly important delegation. At the airport, not only the tour managers were waiting for them, but also representatives of the Ukrainian Embassy in Algeria. Consul Demianyuk Alexander Alexandrovich and First Secretary Ivanitsky Andrei Yuryevich. In addition, the artists were guests of the Ministry of Culture, a police motorcade accompanied team everywhere. The first shows were charitable and absolutely free. They were held in three small towns: Ain Defla, Setif, and Tizi Ouzou. The organizers were the Ministry of Culture of Algeria. The main goal was to give an opportunity to insolvent population to join the culture. And globally – to spread contemporary art in remote corners of the country. It was the first time that artists were met by the audience like this. Because shadow theatre in Algeria is for the first time, in the city of Ain Defla it was not an ordinary full house! The hall was overcrowded – people were sitting on the steps in the aisles. Moreover, the Ministry of Culture of Algeria installed a large led-screen at the stadium. On which the show was broadcast and everyone could watch it. In Setif, shadow theatre Verba had tour to main sights of the city. And at the end were invited to a dinner with the mayor. Also, it was a great surprise to receive a handmade copper plate by local craftsmen as a gift. 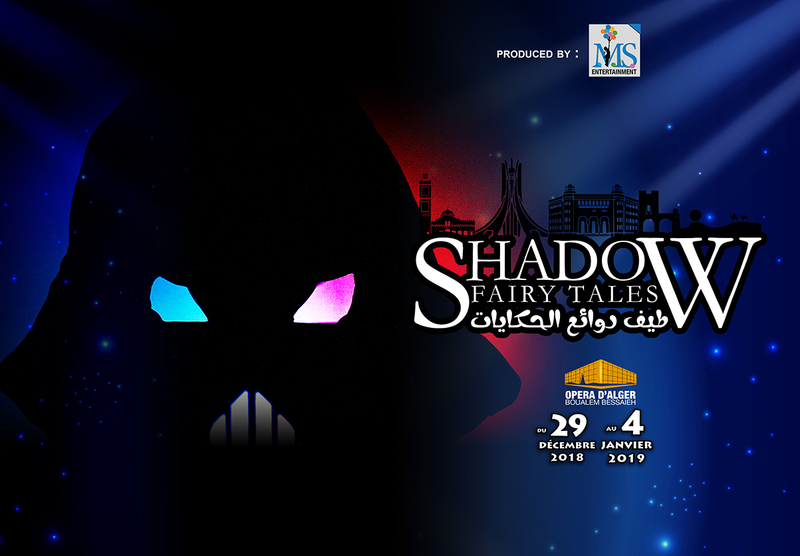 December 29 – January 4, the next 7 shows of the Shadow Theater VERBA performed in the “pearl” of modern architecture – the Algiers Opera. This is one of the most prestigious venues in the country. Interestingly, this building is a gift from the Chinese government to Algeria. Every day Verba gave concerts in front of more than a thousand spectators. And even on December 31, the hall was 90 percent full. Therefore, the Ukrainian New Year, the actors met on the way between Opera and hotel. What a good sign for an artist. The Ambassador of Ukraine in Algeria Subh Maxim, the consul Alexander Demyanyuk, the first secretary Andrey Ivanitsky and the Third secretary Natalia Pankovich were invited to one of the shows in the Opera House. More information about it you can read on official web page of Ukrainian consulate. And the last two shows were joined the whole delegation of Ukrainians. At the first and last show a special guest was the Minister of Culture. He thanked the artists and invited next time to visit as many other cities as possible.